Texas Tiny Home Solutions offers tiny homes and cottages in Waters Edge, a Texas Tiny Home Community, the first of its kind resort on Lake Conroe. 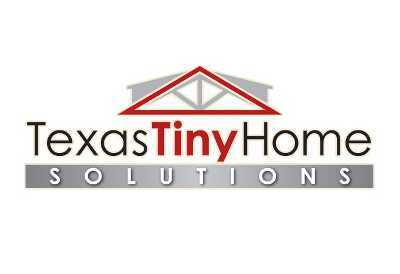 Texas Tiny Home Solutions (TTHS) is building Tiny Home Communities regionally throughout Texas and nationally, providing creative, custom home solutions built on a scale not available before now. An early leader in the Tiny Home Building Industry, TTHS is building a first of its kind, a tiny home resort community. Both a reseller and a builder, TTHS is staying ahead of demand as it continues to build their brand regionally and nationally. TTHS plans to continue buying resorts and RV parks that can be converted to tiny home communities to fulfill the growing demand for what has become a growing trend: smaller houses that take a smaller piece of the family budget. For baby boomers, custom tiny homes provide a whole new housing option that makes retiring a much easier goal to achieve. TTHS has positioned itself north of Houston, on Lake Conroe, a premier resort lake surrounded by traditional planned communities. TTHS has established its first tiny home community by converting an RV park, rebranded Waters Edge, into a Tiny Home community. Offering custom housing options on a small scale, TTHS offers both park models (less than 400 sq. ft.) and larger cottages that transform the tiny living experience into a much larger, but still attainable space (1,000 sq. ft and up). These larger cottages offer the maximum value, combining features of tiny home floor plans and features with larger rooms that make tiny living a viable option for any home buyer. Homes begin at about $60,000 for park models and go up to $120,000 for the larger models. Larger, waterfront homes are also available at higher price points. TTHS builds both on site and off site, on customers’ own property. The demand for off site is strong and both options provide useful solutions for key market segments. The resort offers a community atmosphere that appeals to both young home buyers and seniors who are searching for ways to stretch out their retirement dollars. Off-site builds appeal to rural customers that already own their own land and are simply wanting an affordable option to traditional housing solutions. Luxury customers are looking to invest in affordable vacation homes and demand the higher quality found in custom homes. Investors looking to diversify their portfolio by purchasing rental property are discovering the advantages of buying rental property in a resort setting that allows them to lease homes by the week or by the day, through Airbnb. Customers who purchase Tiny Homes at the resort, lease the property under the home just as they do if they owned an RV. The $500 monthly payment is the only fee they pay. There are no other club dues or POA fees and the basic fee includes water, sewer, garbage, internet and TV and of course, there are no property taxes to pay! For price conscious consumers, there is also no need to pay for a lawn man because all the landscaping is maintained by Water Edge caretakers. The overall feel in the community is that of a high-end resort and the growing sense of community is appealing to everyone that moves in to Waters Edge. Tiny Homes are sounded by woods and by the lake on the north side, positioned as the landscape allows around trees and other natural features, in winding rows of homes that line a sloping hill down to the lake front where a bulkhead has just been built to support the addition of larger, lake front properties. Waters Edge is just the first of many Tiny Home communities to come. TTHS is negotiating purchases of additional RV parks and various types of resorts that can easily be converted to Tiny Home communities. Most of the potential land opportunities feature amenities that are already built, and which can be quickly expanded as necessary to provide a true, resort experience. Waters Edge is 41 acres in size and currently has spaces for 275 units. Additional spaces are being added in two rows on the lake front (including water front lots) and more units in the back of the part for RV’s. The mixed-use park segregates RV’s and Tiny homes into separate areas so that RV’s are generally not visible from the Tiny Home spaces.